The OASYS treats both vulnerable areas of the upper airway with one patented system while strengthening the throat area by pulling the lower jaw and tongue forward to prevent the tongue from blocking the airflow and strengthening the throat against collapse. SomnoDent® is a custom made device worn during sleep to increase the upper airway volume and reduce collapsibility. SomnoDent® Flex and Classic devices both utilize a unique patented fin coupling component which maximizes patient comfort and compliance. The Thornton Adjustable Positioner® (TAP®) is a popular, patient-friendly treatment option for sleep apnea and snoring. The TAP brings the lower jaw forward so that it does not fall open during the night in turn causing the airway to collapse. 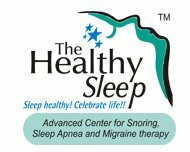 It maintains a clear airway to minimize snoring and improve ease of breathing. The unique design allows the patient to fine-tune his/her treatment at home and work with the doctor to achieve the best possible results. Patients can now manage the degree of lower jaw protrusion over as many nights as it takes to achieve the optimal treatment position. This appliance comes with a single point of central adjustment, which minimizes uneven bilateral adjustment that can create an irregular bite and discomfort. The TAP has over a 95% success rate and is the key to a snore-free and peaceful night of good sleep. The TAP also treats sleep apnea without the necessity of mask, medication and surgery. Silent Nite® brings the lower jaw in a forward position using special S-shaped connectors that are attached to upper and lower trays. There are several custom-made dental sleep appliances, each with unique designs that have good scientific studies proclaiming effectiveness and comfort. There is no ideal appliance that is suitable for everyone. The choice of a good appliance depends on many factors such as the width of the dental arches of the palate and lower jaw, number of teeth, size of the tongue, degree of jaw protrusion and the age of the patient. It is crucial that dentists have a range of the latest appliances available rather than rely on just one as many do. It is crucial to choose a dentist who regularly fits a large number of appliances every week. A well trained and experienced dentist will have all the necessary skills to make any adjustments that may be required in order to achieve the best results possible.